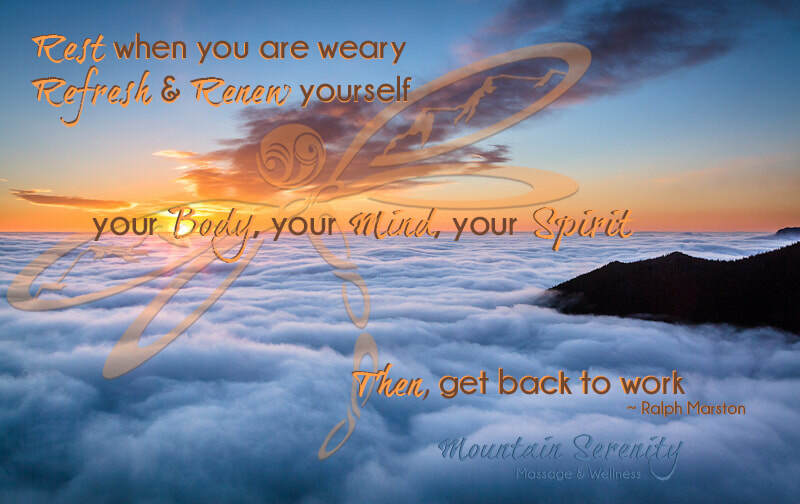 The foundation of Mountain Serenity Massage & Wellness is the complete understanding that these three pieces - Body*Mind*Spirit - are inseparable. They are who we are, how we think and feel, and how we express ourselves in this world. Body is the physical manifestation of who we are - the blood, muscle and bone. It is a simple, basic creation to experience the life we live, the most elemental piece of who we truly are. Mind is where we create and experience - we think and feel, we process what our body sees, smells and tastes and decide what that means. Our mind is great, it can live in the past, the present and the future - it creates the next steps for the body to experience. 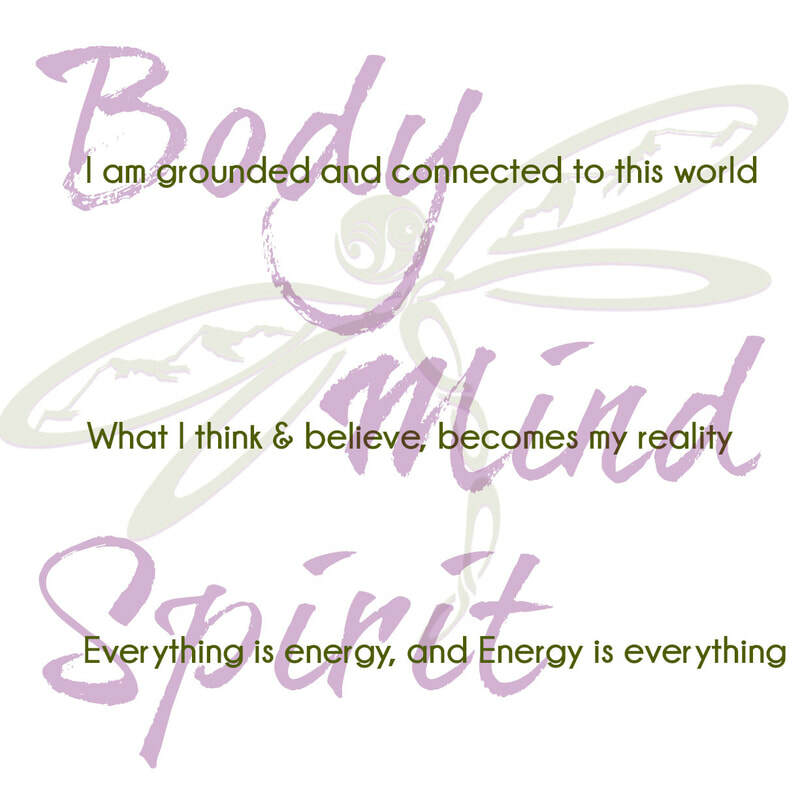 Spirit is who we truly are - the energy vibration that animates the body and frees the mind to think. Spirit is pure, loving, infinite and amazing. Spirit creates the mind and body, spirit is the true existence, the piece that will knows all, sees all, feels all, and creates all. Yes, we love what we do, and so does Colorado! MSMW has been mentioned (again!) for best CBD massage in the area. Come in and check it out for yourself - CBD is massage at the next level. "The light is what guides you home, the warmth is what keeps you there." I love my cozy, home-based office, and I know you will too!